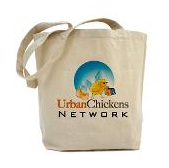 Urban Chickens Network blog: In Portland? Get thee to Chicken Fest! If you're in the Portland area (or can get yourself there in short order), you still have a chance to attend this weekend's Chicken Fest (Mar 28-30) at Livingscape Nursery. (Big Map). In addition to having 20 different breeds of chickens on display and readily available "eggsperts," it looks like they've got a great lineup of workshops about selecting the right chickens, building a coop and overall chicken health. Poking around the Livingscape web site makes me wish there'd been chicken folks like these here in the Bay Area when I got started last year. So, if you're thinking about getting chickens and can get to Portland, this is the place to do your due diligence whether it's at Chicken Fest or any other time this year. Thanks, Bad Wolf, for the tip on both of these! Glad I could help in some way. I became a member of the chicken co-op and it's all because of you. I started following your girls and couldn't get enough so clicked on your Flickr photos which led me to photos of more chickens and eventually came upon the chickens in the film (my fave photo) which led to a YouTube of them eating a pear and then Holly and Patrick's blog where I discovered the chickens were just down the road. So I emailed to try and get on the team and did it just before they became so famous on the front of a magazine (great article to read too). Just wanted to point out too that the Chicken Fest was also a benefit for Growing Gardens which is an incredible organization (I met the man who started it when he was building the first gardens and he was a dynamo). Not only do they help low income people get organic gardens growing with enormous support, but they have a chicken branch which includes workshops and other events including a Tour de Coops. Fantastic organization.